This change is due to the addition of atorvastatin, a new generic for the brand name Lipitor, on their covered drug list. This change impacts all of the commercial and individual business in California and New York. Medicare Part D and state-sponsored business are not impacted. *These rate adjustments are averages and will vary by plan and region.. The HMO plans within the Small Group EmployeeElect Portfolio will see a new business average increase of approximately 6.9%*. All HMO plan families will receive an approximate 6.9% quarterly increase on average. *These rate adjustments are averages and will vary by plan and region. The PPO plans within the Small Group EmployeeElect Portfolio will see a new business average increase of approximately 3.2%*. Groups with 6 or more enrolling subscribers, with a minimum of 50% participation in either the Gen Rx PPO plans and/or any of the Select Network HMO plans will receive an automatic .90 RAF –There will be no qualifying renewal RAF required on those groups. Groups with 6 or more enrolling in our BeneFitsplan portfolio will also receive an automatic .90 RAF -There will be no qualifying renewal RAF required on those groups. Everyone forgets to pay a bill every now and then, so what? Suppose you are an Anthem small group employer and you receive your January 1, 2012 bill for your employee health insurance. 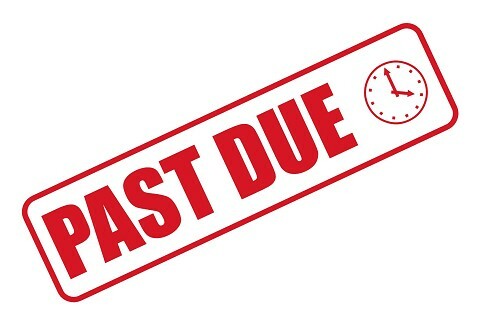 California small group employers have always been accustomed to having a 30 day grace period past the due date to pay their bill and that has not changed. What has changed is the willingness of a carrier to extend the grace period for longer than 30 days. In the past when clients went past their 30 day grace period, we would call Anthem and tell them that our client promises not to do that again and to please reinstate coverage for their employees as our client will overnight the check. I can’t remember a time where Anthem did not approve the reinstatement. If you read the recently released “Notice of Grace Period and Right to Request Review“, Anthem may no longer be accommodating. What I do know is that Anthem pays out more in claims that what the State of California will allow them to charge some businesses. Why would Anthem want to be accommodating to a business that loses them money? Here is another question: If a group plan is cancelled for non-payment and the employees and/or dependents incur claims, who is expected to pay those claims? Answer: Injured employees would seek their employer. Please pay early as you may not receive a reminder from the insurance company. After reasonable January and April increases, as well as a rate pass on most plans in July, Anthem is pleased to announce another low trend increase for October. The rate increases for Anthem’s 51–99 EmployeeElect portfolio are identical to Small Group for October. However, the total rates for these plans will vary slightly. The HMO 100% plans will receive an average increase of 4.5%. 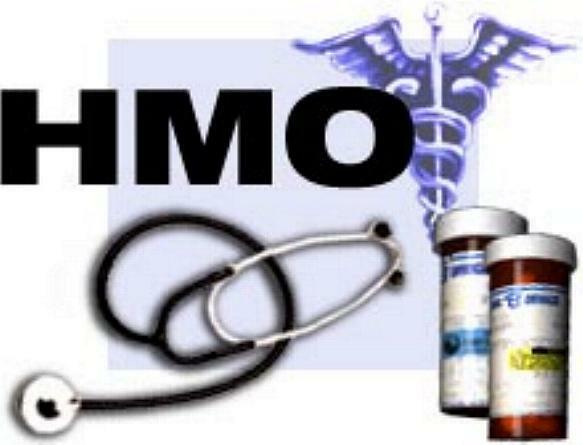 The HMO Classic plans will receive an average increase of 5.5%. The HMO Saver plans will receive an average increase of 4.5%. The PPO Premier plans will receive an average increase of 4.5%. The PPO Copay plans will receive an average increase of 4.5%. The EPO plans will receive an average increase of 2.5%. The Lumenos HSA 80% plans will receive an average increase of 3.5%. The Lumenos HIA+ plans will not experience a rate increase. The October through December renewal increases will vary due to the rating changes Anthem Blue Cross has gone through in the past year. Anthem has had variances by product and region; however, they are pleased to announce an average renewal increase on their EmployeeElect plans for these three months of 10.6%. Effective October 1, 2011, Anthem Blue Cross will have four Health Reimbursement Account (HRA) plans in their EmployeeElect portfolio. 3,000C and 5,000C plans—High-deductible HRA offerings with $20 or $30 copay amounts with the deductible waived for office visits. 3,000D and 5,000D plans—High-deductible HRA plans with 80% coinsurance amounts after the deductible is met. The employer may allocate up to 50% of the annual deductible dollar amount. The minimum amount recommended is no less than 10% of the annual deductible. The plans will allow for flexible rollover options. These plans promote healthy living with employer-sponsored incentives for employees. 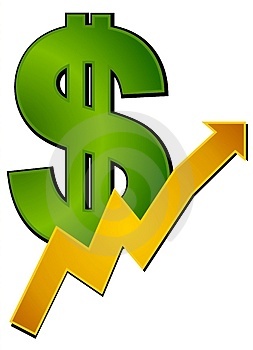 Effective October 1, 2011, all of Anthem’s Small Group plans will experience some benefit changes. Increase individual and family out-of-pocket maximums. All HMO plans will have a specialist copay. The Emergency Room copay for all PPO plans increased to a $150 copay. Apply deductible to out-of-network office visits. Increase deductible and out-of-pocket maximum. Separate in-network and out-of-network deductible, and out-of-pocket maximum. Apply deductible to the out-of-pocket maximum. Family maximum a flat dollar family maximum. Additional $500 deductible will now apply to infertility services. It will not apply to out-of-pocket maximum and will continue to be required after the out-of-pocket is met. Specialty drugs provided by a provider must be obtained through the Specialty Pharmacy Program. Behavioral health out-patient visits require a preservice review after the twelfth visit. To get details on the new Elements Hospital plan design, please contact us, your local LISI sales team. Deductible replaced by predictable copays. In-patient admissions now subject to a per day copay, up to 3 days. Out-patient surgery now subject to a flat dollar copay. All other out-patient services now subject to a copay equal to the specialist copay. Specialist copay added to all plans. Tier 1—Lowest copay; applies to most generics. Tier 2—Medium copay; applies to most formulary. Tier 3—Highest copay; applies to most non-formulary. Tier 4—Coinsurance copay; applies to Specialty drugs and includes all forms of administration (self-injectable, oral, and inhaled). In the future, generics and brands may be placed in any tier, depending on the appropriateness of the drug. Increased Copays changed to 10/30/50. Tier 4 copay maximum increased to 30%, up to $150. Preventive care—Coverage for flu/pneumonia vaccine at retail pharmacy. EPO—Change to four-tier pharmacy copays. In an effort to streamline Anthem’s HMO portfolio, they are discontinuing and migrating members off the Select HMO plans. Ninety-day discontinuation notices will merge with the Lumenos Plan Discontinuation schedule beginning with October 1, 2011 Renewals. * These rate adjustments are after benefit changes and are averages that will vary by plan and region. ** These are highlights only and not intended to be a complete view of the changes. July 11:RAF engines and rate guides are available on Anthem’s sites; rating are available through general agencies and quoting vendors. July 12:Online renewals are posted for October. July 13:Broker renewals for October will go out. July 15:A webinar will be offered to Anthem’s general agents. July 27:Group renewals for October will go out. August 1: Rating goes live on Anthem’s Web site. Anthem Blue Cross of California has made some exciting changes and are introducing new plans to their Large Group portfolio for business with 51 or more employees. NEW BC Exclusive PPO plans — offers HMO-like benefits using the BlueCard PPO provider network for non-California employees. Lumenos HIA plans — available to Pooled business in addition to Non-Pooled. NEW Premier PPO plans to offer more choice. NEW pharmacy plans to complement certain medical plans in Pooled business. (Non-Pooled business continues to have a choice of pharmacy plans). 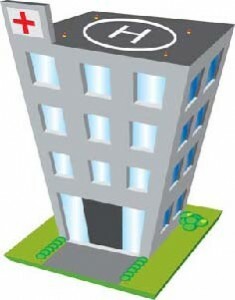 Adjusted benefit structures to their HMO and PPO-type plans to make their plans more cost-effective. Simplified plan choices — to meet today’s needs. Demarketing of non-competitive, duplicative plans. Highlighted links are pdfs that show their HMO plans, PPO plans, CDHP plans and the RX plans that are effective October 1, 2011 And a Benefit Modification Grid that explains what benefit changes they are making to their plans. As theye have demarketed some of their plans and have also renamed some, attached is a crosswalk brochure Quick Reference Guide illustrating the demarketed plans and corresponding suggested replacement plans, as well as the former and new plan names. The Rate increases for the 51-99 EmployeeElect portfolio is identical to Small Group for April. However, the TOTAL rate for these plans will vary slightly. 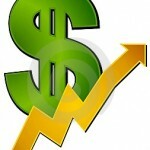 The April, May & June 2011 renewal increase on EmployeeElect plans will average 13.1%.